EXCLUSIVE / The Belgian government has failed to protect workers in Brussels’ EU quarter from deadly traffic fumes, according to legal action filed against it by the European Commission. Leaked documents obtained by euractiv.com reveal that Belgium is accused of breaking EU law by hiding the true scale of Brussels air pollution problem and breaching air quality limits. 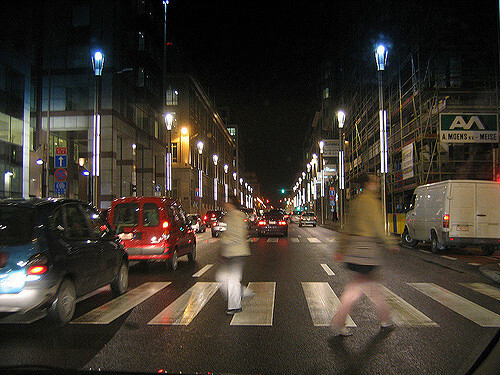 Rue Belliard and Rue de la Loi are two of the major arteries into Brussels’ Euro quarter, where the European Commission, Parliament and Council buildings are located. NO2 can cause a litany of respiratory problems, inflaming the lining of the lungs, and can lead to hospitalisation and even death. It is specifically caused by diesel transport, and hit the headlines in the wake of the Volkswagen emissions test scandal. Environment Commissioner Janez Poto?nik has scolded European countries for their inaction on EU laws to combat air pollution, which causes an estimated 420,000 premature deaths yearly in the Union. “Without urgent action at local, national and EU level, people working in the heart of the European quarter will be breathing toxic and illegal levels of pollution into the next decade,” said Alan Andrews, a lawyer with NGO ClientEarth. The EU’s Ambient Air Quality Directive insists that monitoring stations are put where the pollution is heaviest. But the Belgian government has not submitted NO2 figures for Rue Belliard since 2013, and not for Arts-Loi since 2008. The 2008 Arts-Loi figures show that NO2 levels were as high as 100 mg per metre cube – more than double the level of acceptable risk under EU law and World Health Organisation guidance. Those rules limit levels to 40mg per metre cube. In 2012 and 2013, there was a concentration of 60mg per metre cube on Rue Belliard. But according to European Commission’s letter of formal notice to the Belgian government, no 2014 data for that station was recorded because it wasn’t working. The letter of formal notice is the first step in infringement proceedings. Such proceedings are lawsuits brought by the Commission against member states for breaking EU law. They can ultimately result in large fines at the European Court of Justice. According to ClientEarth, an environmental NGO of lawyers, the Belgian government could also face legal action from parties other than the executive. Belgium’s plan, rejected for not being good enough, would mean it would not comply with the law until 2022. Among those exposed to the fumes are European Parliament and EU Council negotiators working on the draft revisions to the National Emissions Ceiling (NEC) Directive. They are set to meet with Commission officials on 8 June to try and hammer out a deal on the proposed new law, which narrowly escaped being axed under the executive’s better regulations strategy. The revised NEC Directive puts controls on different types of air pollution in each member state. Its overarching goal is to cut the number of premature deaths – estimated as 400,000 a year in the EU – caused by air pollution by half by 2030. “Ironically, this revelation comes just as EU officials are in the middle of crucial negotiations on new air pollution laws. We urgently need tough new pollution targets in the revised NEC Directive to safeguard public health in cities throughout Europe,” said ClientEarth’s Andrews. The executive said, “Exceedances of the NO2 levels set by EU law on air quality occur in more than 130 European cities. The Commission has opened infringement proceedings against nine member states in this area. The Belgian government was asked to comment yesterday. This story will be updated when a response is received. 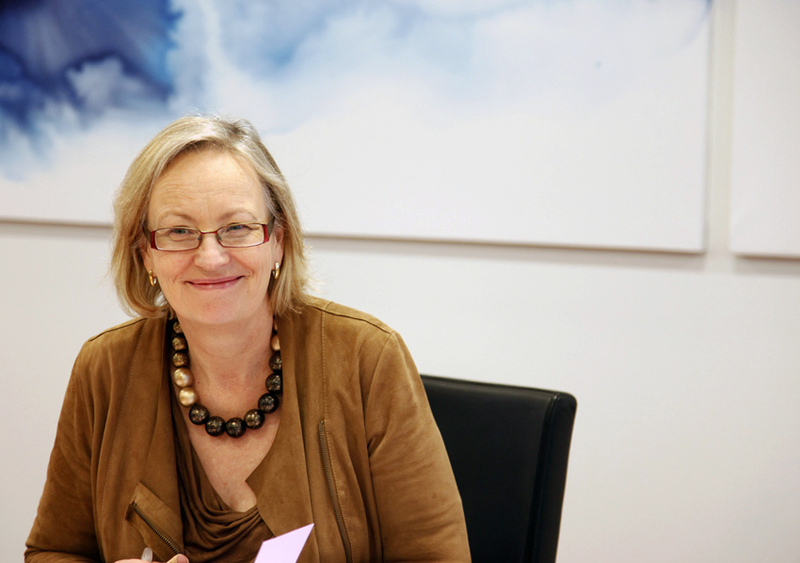 A British Conservative member of European Parliament yesterday (15 July) took the unusual step of voting against her own report, after MEPs in the Environment Committee backed stronger air pollution limits. The 2008 Air Quality Directive aimed at streamlining and tightening EU legislation dealing with pollution and air standards. It is now under review. The directive obliges member states must cut exposure to fine particulate matter by an average of 20% by 2020, based on 2010 levels. Many of the policies grow out of a 2005 strategy on air pollution, which sought to cut sulphur dioxide (SO2) emissions by 82%, nitrogen oxide (NOx) emissions by 60%, volatile organic compounds by 51%, ammonia (NH3) by 27%, and primary fine particulates by 59% compared to the levels of 2000. Health advocates say the cost of cutting emissions through better smokestack scrubbers, cleaner-burning vehicles and a shift to renewable fuels would be more than offset by savings in treating complications of bad air. Part of the package is the Nation Emissions Ceiling (NEC) Directive. It sets post-2020 national emissions ceilings (NEC) for six air pollutants, such as particulate matter (PM) and nitrogen oxide (NOx). 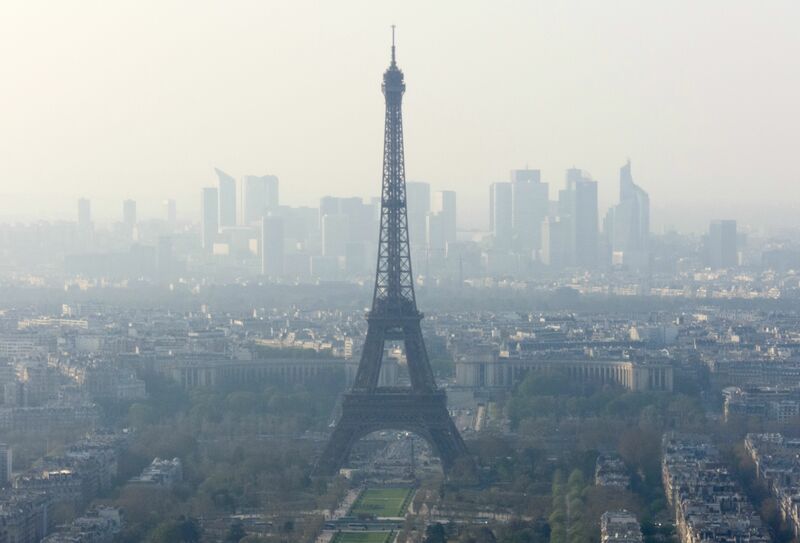 The French Senate has called for new efforts to tackle air pollution, arguing it inflates healthcare costs, reduces economic productivity and agricultural yields, and has put Paris in the EU's bad books. EURACTIV France reports. Bx is an administrative city – people, mostly sit at desks, with computers & phones doing “things”. Teleworking. This has been well understood since the 1980s. People can work remotely up to 2 days per week without the “team spirit” being destroyed. Not everybody has space at home to work – so tele-working centres based on communes is the way to go (= within walking/cycling/bus ride distance of a home). The issue of cyber security in such locations is trivial to address. Implementing the above would reduce CO2,PMs and NOx by 40% or thereabouts. I had an argument with people in DG INFOSOC (as was then) in the late 2000s on this subject. They said it could not work. Sadly for them, CISCO in partnership with Amsterdam proved that it could. The people in the EC apologised to me (hi Peter). Progress since then: exactly zero. Other solutions: CNG powered vehicles – give them tax advantages and start to disadvantage diesels wrt taxes. Prediction: Belgian politicos will propose that public transport be improved – pathetic. Gigantism (build more of it) does not work is situations like this. Yes Mike and i agree with you in all but there are “complications” on some issues ! 1st. the Teleworker at home : isn’t it actually reserved for disabled and applied by some civil servants ? Does companies or Governments allow working at home! I actually don’t see movings on that matter ! 2nd. Tax rising and riding tax higher on diesel than petrol ? As well no move from governments sides ! They just needs to swap the taxes and job done but do they want ? For government some subjects won’t work only because they didn’t apply it on practice !! Never impossible ! Because Americans begun shooting rockets with failings and victories and finally landed on the moon !! Nothing is impossible when you find out how to take it and this is not only a Vlander or Wallonie Problem but a general European one fearing the outcome ! Surely its all down to the German Diesel engines? The ones which fiddle their own emission tests. What an idiotic headline of this article!!! Brussels citizen, in general, don’t matter, it’s the Eurocrats that need to be protected – BRAVO, Mr. Crisp! The anti-science fraud against CO2 biasing a choice of diesel is part of the problem . Just look at the U.S. which hasn’t that amount of die-sel fumes smog ! Why ? they don’t drive 50% of NOX cars but 3% only ! Logically its very clear and clearer if VW cheated the software on its diesel ingenious to bypass those particles freely out the exhaust through the air ! What’s happening still today? NOTHING ! The car consortium still sells diesels in deadly amounts but who cares as long you can drive “cheaper” or even if you die from cancer ! Not the streets are the problems but the way of how car industries and governments are behaving in Europe !! Europe has a very lazy Environment Agency unlike the federal in U.S. which can act stronger and even protect citizens against such corrupt behavior . In my opinion as long diesel runs its cheap investments then the air pollution becomes more important ! The E.U. is struggling as usual cowardly to take a stop to NOX ! Diesel may cheaper and easier to refine from crude oil but with end results a disastrous consequences on environment and health (Frauenhofer institut) ! Still i am asking why cars today when we know we have technologically much better engineered petrol cars ? Only a car with a spark plug is the most environmental friendly and let this be said ! Still i am asking why still diesel cars today ..